Duke Horn is a long time competitive Flying Aces Club (FAC) scale modeler from Dallas. This morning Duke came over around 10:00 a.m. for coffee, donuts and some modeling "Show and tell". I showed Duke several of my models and then Sue fixed us lunch. 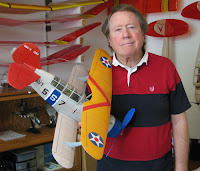 After lunch, Duke went out to his car and brought in his Curtiss SBC-3 Helldive. 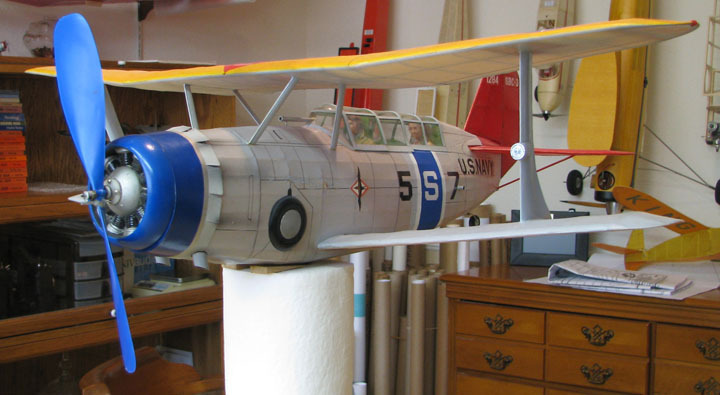 This is one beautiful competition scale rubber model biplane and so well done. It was everything I expected it to be and more. 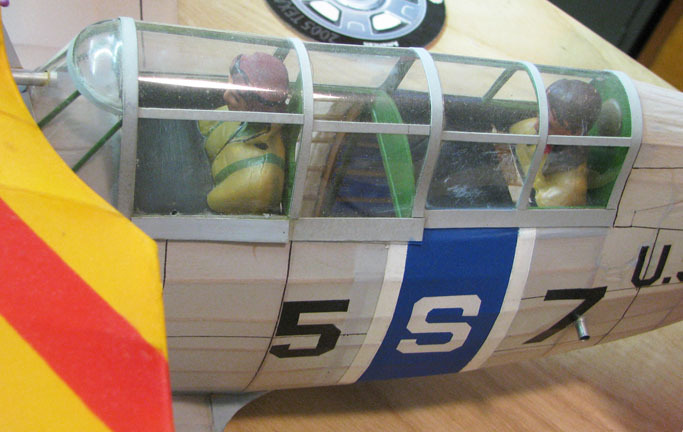 We positioned the Helldiver up on the work table and I took a number of pictures of it that I want yopu to see. The first ship was built to plan and then I installed a RC system out of one of them GWS sticks, just secured the stick inside that fuse and hooked up the controls, she flew great but eventually bit the dust. 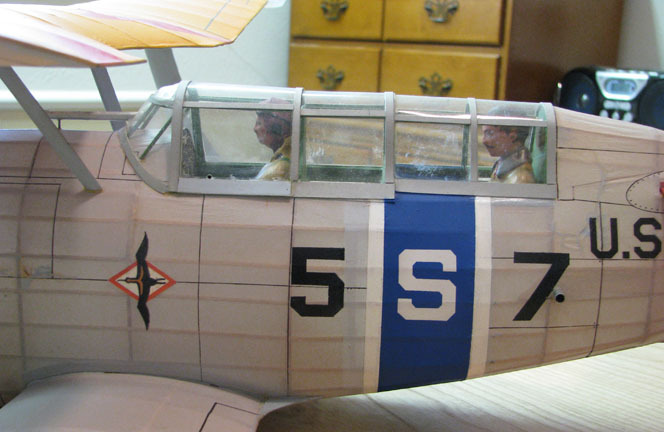 The current iteration is going to be rubber powered, cannot wait to fly her. 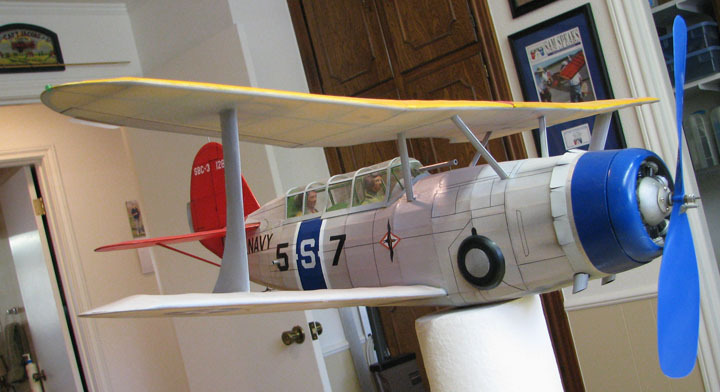 In the future I have another project planned for the Dumas kit of the SBC-3, I really want to make a full house RC hot rod, she may not last forever but oh wont she be a hoot to fly while she does last.